To improve any practice on the dairy farm records are of paramount importance. The breeding or reproductive area can only be altered and improved if a producer is willing to put time and effort into starting and faithfully maintaining a record-keeping program. The record-keeping program can be as complicated or as simple as one wants. A producer can buy breeding wheels or other devices that can make reproductive record keeping easy. There is, however, a very simple system that can be set up by any producer. Let's look at each date and see how recording this information will increase reproductive performance. The calving date is the most important because it starts the next reproductive cycle. You should start to record heat dates immediately after calving. Recording heat dates on cows even before they are ready to breed is important because it lets you know if the cow is cycling properly and gives you an idea of the cow's individual reproductive cycle. If you don't see a cow in heat within 50 days after calving, a veterinarian should examine her to be sure she is cycling properly and does not have an infection or other reproductive disorder. In fact, it is an excellent practice to routinely have a veterinarian check each cow soon after freshening to be certain that all of the reproductive organs are functioning properly, and to treat any abnormal cows. All heat dates should be reported so that the cycle length can be estimated. A good practice is to record the days elapsed between observed heats so that you can check if the cow is cycling and if you are observing heat properly. If heats are not noticed it can be due to either reproductive failure or poor heat detection practices. Accurate recording of breeding dates is essential for successful pregnancy checks by a veterinarian. Every cow should be checked for pregnancy at 40-50 days after breeding. If it is assumed that the cow is bred just because she has not been observed in heat after breeding, it could seriously jeopardize the reproductive program. One may have several cows he thinks are bred that are open. Such cows, when dried off, will be culling candidates. This can be eliminated by having all cows that are bred and not observed in heat for 40-50 days checked for pregnancy by a veterinarian. The veterinarian is an integral part of the reproductive program. Every producer should be on a routine herd health program. Recording conception dates is important so that the cows are dried off at the right time (60 days before freshening). 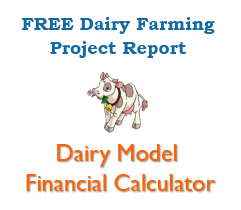 Recorded conception dates also help in assigning housing for dry cows, establishing feed requirements for fresh cows, and estimating income during the year from the sale of milk.